YOU GUYS!!! It’s our national holiday!!! January 1st is National Bloody Mary Day aka New Year’s Day. I feel so fortunate to celebrate this special day with you!! Not only is it National Bloody Mary Day but it is also National Hangover Day and Taco Tuesday!!! Talk about the ultimate trifecta! But there’s a reason these days exist and that’s because on New Year’s Eve even the unlikeliest of partiers had one too many and stayed up way past their bedtime (that’s me). So, if that’s you, you’re going to need a hearty breakfast and stiff bloody mary to soothe your throbbing headache and restore the balance to your suffering soul. My go to, the award wining Cocktail Artist Premium Bloody Mary Mix, available at Walmart, is a rich and savory bloody mary mix that has all the right spice and boldness to cure any hangover, but I wanted to take it one step further. A spicy bloody mary to sweat out the sins of 2018, I infused the vodka with jalapeños to really “kick” start the year into high gear and celebrate National Bloody Mary Day with flare. However, just a brunch cocktail won’t do, we need some food in our stomachs to soak up all that alcohol because the point here is to recover, not get equally intoxicated on National Hangover Day. I decided a breakfast taco is just the solution to top my bloody mary with because today also happens to be #tacotuesday, so why the heck not. For me personally, I need a great salsa on top of my taco so I tried out a new salsa, Fresh Cravings Salsa which just so happens to be the number one salsa in the United States!! It’s made with fresh ingredients and is never cooked so you can find it in the refrigerated section at your local Walmart! *sip and enjoy and please drink responsibly - Happy National Bloody Mary Day! 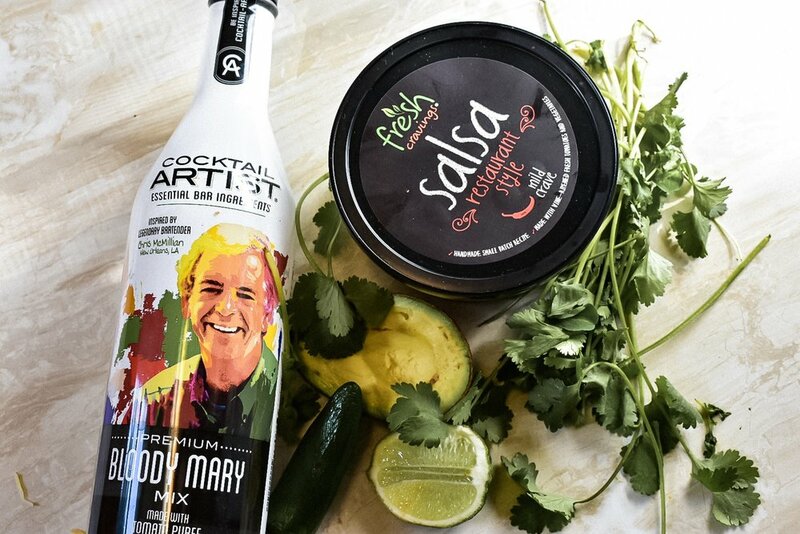 For more recipes using award winning Cocktail Artist Premium Bloody Mary Mix click here and here.